I’m pretty much obsessed with truth. In fact, I would go so far as to say that my obsession with truth has driven most of what I’ve become as an adult. 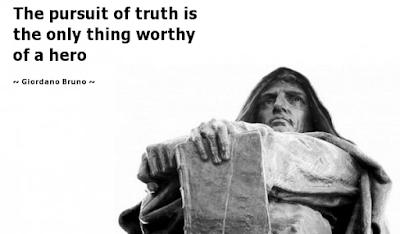 I spend just as much time pondering how “truth” should be defined as I do grappling with what it is. I’ve expressed lengthy rants on this topic elsewhere, but I think, in the end, truth is best defined simply as “that which just is.” This answer might fall below the lofty standards expected of an intellectual writer, but I really do think this is the best way to define the term. Somewhere at the heart of reality is to be found some sort of ultimate actuality, something that just is—and this we call “truth.” Whatever that truth happens to be is exactly what I’ve spent much of my life attempting to ascertain. Whatever the truth is, I want to know it. But not everyone feels that way. As Friedrich Nietzsche said, “There are two different types of people in the world, those who want to know, and those who want to believe.” To that, I would add this: “There are also those who want the truth and those who do not.” When I use the term “truth” here, I’m talking about philosophical truth, or cosmic truth, or what might be referred to as “the Truth”—truth, in other words, that surpasses time and space, truth that just is regardless of who is or isn’t here to ascertain it. Some of us want to know what that truth is, assuming that such a truth even exists at all. Others among us do not want that, and there are all kinds of psychological reasons that might fuel such an aversion, but when you whittle all the jargon away, it usually has to do with some form of fear. Can truth, if it exists, be known? If so, how can I know it? The first question is largely a matter of opinion. After all, if we knew the answer ahead of time we wouldn’t even be asking the question. Because we don’t know, we have to assume from the beginning that question #1 doesn’t have a definitive answer. It would the same as trying to ascertain what God is like before you even know whether you believe in God or if a God exists at all. The question is subjective by its own nature, and this is an important distinction to keep in mind. The question has inherent subjectivity—it does not reflect the subjectivity brought to it by the asker. As such, the asker must bring to the question his own thoughts on the matter, and thus we have a major problem on our hands right from the very beginning. The pursuit of truth must, inasmuch as is possible, be free of one’s own prejudices, presuppositions, and personal inclinations. Any pursuit of truth by a serious and sincere seeker must be impartial. Now, it’s true that nothing could ever be totally impartial because a human being, no matter how much he may want to, cannot cast off the totality of his humanity, and to be human is to have at least some level of personal investment in any given idea at any given moment. That being said, it is possible to get as close to totally impartial as one can get (and I will talk more about that later). For now, we must accept our humanity and acknowledge that we have already contaminated our unbiased pursuit of truth. But in this case, we simply have to, otherwise there could be no pursuit at all. You can’t pursue truth if you yourself haven’t already personally decided that there is a truth to find. As to the second question, it too comes with its inherent problems, but it is here that we can apply some basic logic and get ourselves moving on the right track. So then, let us reiterate the question: if truth can be known, how exactly does one go about finding out what it is? Common sense would suggest that where you end up has a lot to do with where you begin. Nowhere does this apply more aptly than in the pursuit of truth, unless of course you maintain the New Age attitude that all roads lead to truth. The problem with this attitude is that if it were accurate, human beings transcending all time periods and geographical separations would, by and large, be arriving at roughly the same conclusions. Yet even a cursory glance at history is enough to convince us that humans have never been able to agree on what may or may not be the truth. If all roads lead to truth, we would all be in agreement. But we are not. Ergo, not all roads lead to truth. Some roads lead to transparent deception, while others lead to confusion and delusion, and still others lead to false positives—things, in other words, that appear to be true but which, in reality, are anything but. And the underlying question throughout all of this is always the same: “How can I be sure I’m on the right road?” If you cannot be sure, then perhaps your conclusion must be that truth cannot be known. I, however, argue that truth can be known and that it all depends on knowing the correct starting point. You can’t walk the right road if you’re not even sure where that road begins. To wit, not all starting points are created equal. Some are better than others, and one of them is better than all the rest. That starting point is the one that presupposes nothing. In other words, the best way to begin a truly effective and impartial search for truth is to empty the slate and come to the pursuit with absolutely no personal investment whatsoever in the outcome. “Impossible!” you may say, but no, it’s not impossible, though it isn’t easy, either. It might take you some time, but even if it does, you simply must condition your mind in such a way that it truly can accept the truth, no matter what it is. Thus, if your pursuit of truth brings you to a point where you have to completely rotate your worldview and accept that which may have been previously unacceptable to you, you have to be willing to do it. If your pursuit of truth brings you face to face with realities you’ve been running from, or discoveries that are abhorrent to you, or possibilities that frighten you, you have to be willing to do it. You must adopt an aggressive determination to square with the truth, whatever it is, even if it hurts you to do so. This willingness will serve you better because it will take you where the evidence itself is leading (which does not involve your feelings on the matter) rather than where your personal agenda may have you go (which does involve your feelings on the matter). If you cannot do this, let it never be said that you have pursued the truth because you clearly have not. If you cannot remove your personal investments, how can you ever be sure that you’ve arrived at “truth” and not just “your preferred version of what may or may not be the truth?” Your conclusions can only be as good as your own trustworthiness—and if there’s one thing humans are not when their personal comforts and securities are on the line, it is trustworthy. Therefore, before you begin your expedition, you must cast off everything you’ve been carrying. Unlike a journey in real life, where you bring with you a knapsack filled with provisions to aid you along the way, the pursuit of truth must be embarked upon with empty hands. Whatever you are holding on to, drop it. Whatever you are clinging to, let it go. Whatever you are invested in, remove yourself from it. Fully sever all tethers to any previously accepted ideologies, creeds, beliefs, theories, opinions, and come to the journey with no baggage weighing you down. If you believe in God, suspend your belief. If you don’t believe in God, suspend your disbelief. Merely be an interested third party who has no feelings on the issue one way or the other. Abandon all previously recognized limitations on what you think you know. Assume nothing. Demolish all preconceived notions about yourself, the world, our species, the Universe, and reality itself. Then and only then will you be ready to truly take up the pursuit of truth in a worthy manner. Only then are you standing at the correct starting point. I’m reminded of a scene in first film installment of the Lord of the Rings trilogy in which the fellowship comes to a place within the mines of Moria whereupon one pathway must be chosen out of three possible candidates. Gandalf is puzzled and momentarily unsure about which road to take, but after some consideration, the answer comes to him. “…the air doesn’t smell so foul down here,” he explains. “When in doubt, Meriadoc, always follow your nose.” I feel as though the pursuit of truth is like this. Once you’re standing at the correct starting point, you may notice that countless roads veer off in any number of directions. So which road should you take? If you were to explore them all you could spend months, maybe years pursuing the wrong path—a futile endeavor that wastes your time and energy to no avail. Perhaps there is a way to know ahead of time which road is the correct one? In Gandalf’s case, his nose led him to the right path. In our case, all we need to do is read the signs. What signs, you ask? Why, the signs on the side of the road, of course. Not all roads are created equal, either. Some are better than others. Some lead you straight to where you need to be. Others might eventually lead you to your destination, but perhaps they first take you through superfluous terrain of a rocky nature. Perhaps they take you through terrain of a lethal nature. Or, perhaps they just lead you away from the truth rather than toward it. At any rate, we do have the advantage of knowing ahead of time what road leads where. And it is here that many of us make our second crucial mistake (the first mistake, obviously, is to begin at the wrong starting point). Even if we can somehow shed our personal agendas, we are still tempted to walk down that road which is the most familiar to us. In other words, we humans will usually take the road that reflects our own experiences back to us, and we do this because it appears that this road will be easier and far more comforting. And perhaps it is easier. And comforting. But that doesn’t mean it’s the correct road, and it also doesn’t mean you’re not unknowingly marching headlong toward your (metaphorical) death. Sometimes the right road is that which is the most challenging, or the most discomforting, or the most frightening. Or maybe not. Who is to say? That’s where the signs come in. As we stand at our starting point and examine the many possible roads we could choose, we note that each road comes with a sign. One sign says, “The Road of Religious Faith.” Another sign says, “The Road of Popular Opinion.” Another says, “The Road of Societal Preferences.” There are countless other roads and countless other signs. Some roads beckon you because they feel culturally acceptable to you. Other roads tempt you because you’ve seen close friends travel down these roads and things seemed to work out for them. Or perhaps some roads just feel right to you, even if you can’t explain why. By choosing one of these roads, you are accepting ahead of time that wherever your road leads you, the end result is consistent with your overall aim: which is to know truth. You are also accepting that the road itself is taking through terrain which you should be traversing. But again, how can you be sure you chose correctly? What if everything seems to indicate that the road you chose is correct and yet it still leads you hard against the backside of deception? Worse, what if it leads you into deception and you never know it, thereby going through life believing a lie? For instance, let us say that, having positioned yourself at the correct starting point, you choose the path labeled The Road of Religious Faith. This means that your road is taking you through a very specific type of terrain, terrain that includes all the biases and presuppositions that you worked so hard to let go of in the first place. What are those biases? That God (specifically, your idea of God) exists and may or may not be “leading” you down the very road you’re walking. Think about it. If, after positioning yourself at the correct starting point, you proceed with the notion that God (whatever that may or may not mean to you) is guiding your steps or in some other way assisting or even orchestrating your journey, you have not only picked all those biases right back up again, you’ve also decided that you already know what the truth is before you even embark on the pursuit of it! Where is the logic there? This is the same of assuming ahead of time that the envelope you found contains $1,000 cash inside and, before verifying that fact, you go out and run up mountains of debt, trusting in money that might not even be there. Perhaps you ought to look in the envelope before you make any decisions or commit any actions? So it is with The Road of Religious Faith. The very act of proceeding down this road in pursuit of truth is a blatant contradiction in terms (to say nothing of being analogous to the plight of Sisyphus). You can only walk the road of religion or faith if you have already pre-determined that this religion or that faith is synonymous with truth. Or, perhaps you elect to take the path marked The Road of Popular Opinion. This is a wide, well-trodden thoroughfare that, at first glance, might appear to be the best way forward. After all, there is strength in numbers, or so they say, and this road has seen the most traffic. That must mean something, right? Thus, on this road you take note of those who have gone before you. As such, you’re hoping to benefit from their experiences and possibly avoid the traps that ensnared them along the way. But the problem here is fairly evident: you’re assuming that the intentions that drove their pursuit were as pure and impartial as you believe yours to be. But what if they weren’t? What if the throngs of people who took this road were being marched blindly down it in much the same way you are about to be? And let us never forget that popular opinion put Adolf Hitler into power in Nazi Germany. Popular opinion elected Donald Trump to the presidency in the United States. And popular opinion in many of today’s nations still has room for the legality of slavery. Clearly, a million people can be just as wrong as one person, thus rendering popular opinion as a moot point in the pursuit of truth. At this point you might throw up your hands in frustration and cry out, “All the roads come with their inherent problems, but I have to choose one of them!” You’re right on both counts. All the roads do come with their problems, and yet you must choose one of them. What are you to do? From our limited vantage point here amongst the confines of humanity, it must be observed that perfection, such as it is, will always remain just beyond our reach. We can get close, but there will always be a separation, slim though it may be, between us and perfection. We as a species must therefore accept limitations in all our endeavors. Even in the pursuit of truth, we must acknowledge that though we may strive to proceed with purity, we cannot fully escape the doleful fact that our humanity contaminates everything. As such, we must accept that there is no road we can travel down that isn’t already saturated with our own weaknesses, restrictions, and often wayward tendencies as creatures of emotion and erraticism. Thus, the question that confronts the honest seeker of truth is this one: is there a road I can take that’s better than the others, a road that will get me the closest to the truth because of its ability to remain somewhat constant in the face of my ever-changing humanity? I believe the answer is yes. On that note, let’s press pause on this discussion for just a moment and consider the Curious Case of the Missing Bracelet. Suppose that a number of small items go missing from your possession over the course of three or four weeks. Suppose also that the final straw comes when you discover that a favorite bracelet is the latest object to mysteriously disappear. Common sense tells you that you should search your house. You do so, and lo! What do you find? All the missing items, including the bracelet, are assembled under the bed of your new kitten—the kitten which you brought home right around the same time all these items starting to go missing. So, what would you conclude? Consider the key points: A) All of the missing items were small enough to be transported by the mouth of kitten, B) all of the items were located in the same place where the kitten sleeps, C) you had previously noticed the kitten snatching things with its mouth, and D) the phenomenon started around the same time the kitten appeared on the scene. Here you have four clues that strongly suggest a solution to the mystery. Thus, you conclude that your new kitten has thievish tendencies and was most likely responsible for cleverly making off with the items unbeknownst to anyone else. Can you be 100% certain of this conclusion? No. Again, perfection is beyond our reach. But you can be 99.99% certain—certain enough, in other words, to confidently close the case and consider it “solved.” It wasn’t difficult; all you did was follow where the evidence led you. And you did this because evidence, on its own, is inherently trustworthy—so trustworthy, in fact, that you trust it without even realizing you’re doing so. You might not agree that evidence is inherently trustworthy, but most of the judicial court systems in the world’s enlightened nations say otherwise. Indisputable evidence is enough to condemn or acquit a defendant in a court of law. So effective is evidence, in fact, that it often prevails in court cases even when each and every other signal is pointing elsewhere. DNA evidence, for instance, is considered to be unquestionable. Eyewitness testimony is strong enough to put a man behind bars for the rest of his life. Still, even the courts can get things wrong or be subjected to corruption. But consider the power of evidence in your own life. You press the gas pedal when the streetlight flashes green. You don’t even think about it; you just do it. Why? The evidence has suggested to you that a green light means it’s safe to drive. Or ask yourself why you believe a wall clock when you check it for the correct time. How do you know the clock isn’t wrong or lying to you? The evidence has suggested to you that clocks, minus a few minutes here and there, are accurate. You trust that evidence, and you do it without even thinking about it. When your alarm sounds, you get out of bed. When a stove burner has been left on, you don’t touch it. When your contractions begin, you head to the hospital to have your baby. When a dark splotch appears on your skin, you go to the doctor to have it checked out. You do a thousand things in the course of a single day because your life is a series of executions predicated on the reliability of evidence. Evidence is therefore the great underlying constant that holds up the everyday mechanisms of human life on planet Earth. The thing about evidence is that it’s what I like to call sterile. You as a human being can bring your fallibility to it, but evidence on its own, without your contamination (or mine), is free of any outside forces exerted upon it. In other words, evidence has no investments in your agenda, or in mine. Evidence just is what it is, and it is up to you and me to be responsible with it. Sure, at that point everything can go wrong—we can interpret it incorrectly, either willingly or unknowingly—but the fault therein lies with the handler, not with the evidence itself. The evidence itself is sterile, and thus can be trusted. For instance, a drop of blood on a fragment of clothing is what it is on its own. It’s there, it’s meant to be seen and examined and analyzed and thereafter interpreted. The blood cells, the fibers of the fabric, and the identity he or she to whom the blood belongs are just impassive, innocent facts that on their own have no feelings on any given matter. The drop of blood doesn’t care that your career may be riding on solving a murder case. The bit of clothing isn’t interested in whose body it was once covering. And the blood cells are indifferent to your invasion of their privacy—you can study them under a microscope all day and they will not protest. Evidence just is. It doesn’t have its own worldview which it will jealously guard and preserve. Therefore, it is the best tool we have to assemble construes of data toward an ultimate conception of A, B, C, or what have you. This means it’s also the best road to take when pursuing truth. Thus, as we stand at the correct starting point, we notice that one of the paths is labelled “The Road of Evidence,” and it is this road that we must choose, for it will serve us better than any of the others since it leads us directly to where we want to go and it will assist us along the way with all the provisions we need to get there. We no longer have to proceed empty-handed. Now we are free to wrap our hands around those items the road gives us—evidence, in short—and we already know that those items are reliable.